Box Lunch has a new women’s Rogue One t-shirt available. 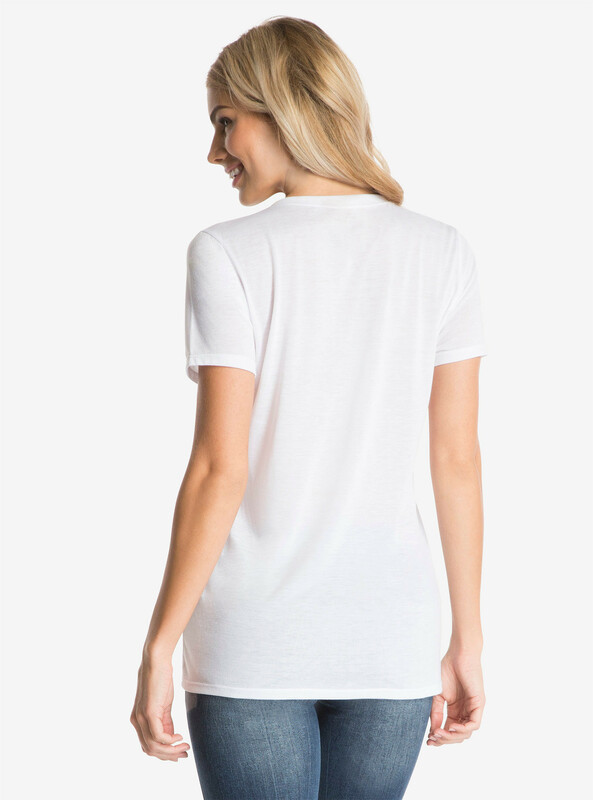 The white cotton t-shirt features a Rogue One themed design, printed in matte black foil. 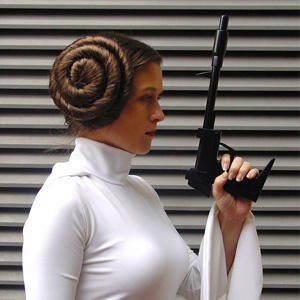 The design features the text ‘Rebel’, with the Rebel Alliance ‘starbird’ symbol, X-Wing fighters, and the new U-Wing at the top. 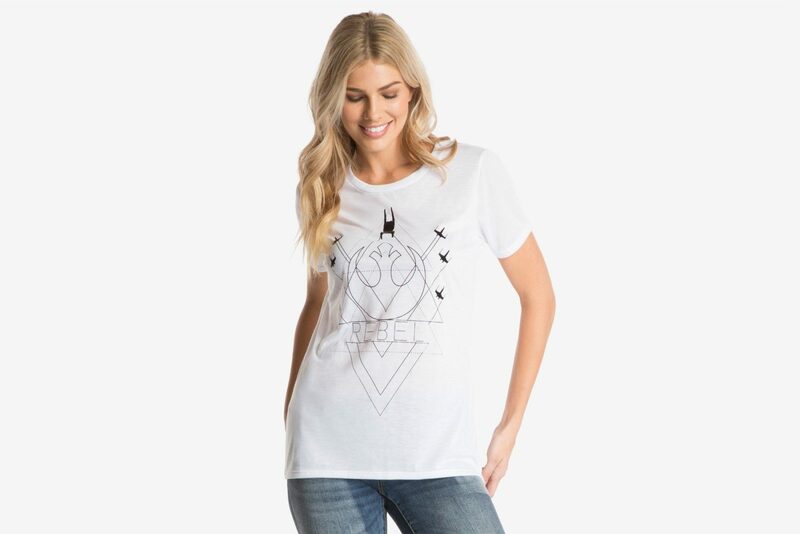 Available in sizes XS to 2X, the t-shirt is priced at Us$34.90 each – Box Lunch can ship internationally. Do not give in to the Empire. 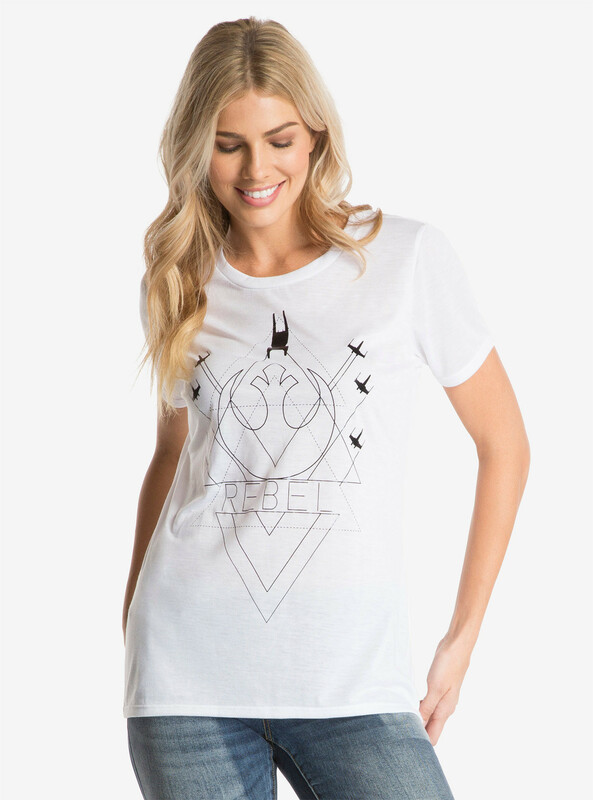 This white boyfriend tee features a matte black foil printed Rebellion inspired logo that includes the classic Rebel emblem and X-Wings in flight.